Thank you so much! I wish you all the best as well. Great shot, love images like this. Thank you Ben! 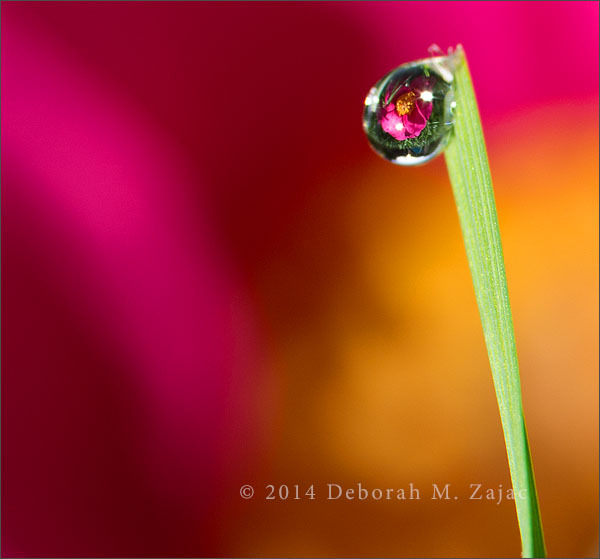 I hope to do more drop refraction imaging. I’m thinking of uping my time scale on the focusing rail though. It would come in handy with this type of imaging. Yep I can imagine, I generally just lie down for a long time move I and out. 🙂 Doin’ the Macro Rock. Yep doing the Macro Rock, hope you have copyrighted that as phrase because I am going to use to no end from now on. Love the composition and vision. I love this bit of poetry! Thank you!! I’m going to add this to my little book of quotes, and stuff. Thank you for the lovely comment on my images as well. Your insight is right on! “A world inside.” Thank you so much Cybele! Beautiful. It looks like a gemstone.